bebop spoken here: Two special gigs on Friday. On Friday this week (July 20) we again have an international flavour for our Gala Lunchtime concert as we welcome back US saxophonist/flautist, Greg Abate, together with our own Paul Edis. Greg and Paul's previous appearances in the Gala Lunchtime concert series, in July 2016 and November 2017 were enthusiastically received, so I know many of you will be looking forward to their return. For those who don't know Greg Abate, his main instrument is alto sax, considering Charlie Parker, Paul Desmond and Phil Woods among his most important influences. 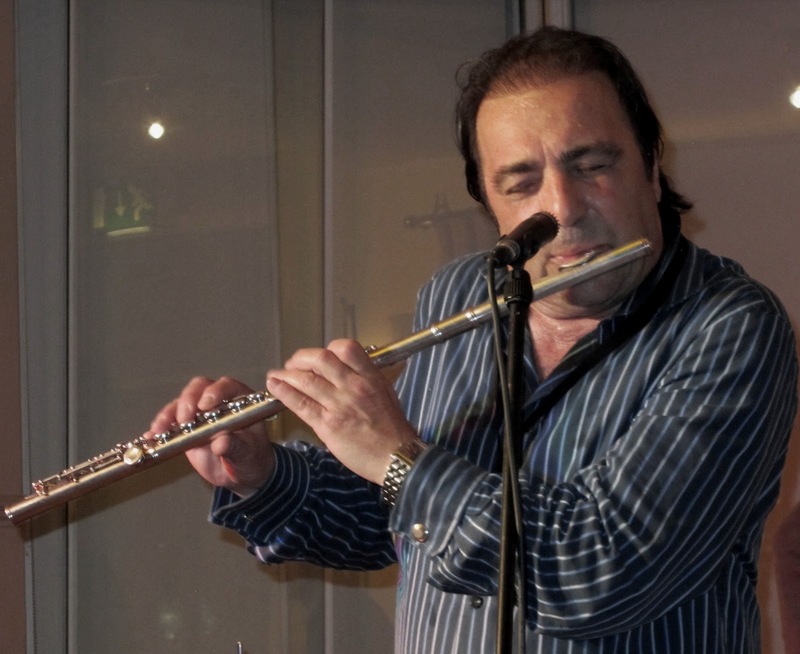 He also plays tenor, flute, and soprano, and has an international recording career dating back to the 1980s, including a double CD with Phil Woods, and tributes to the music of both Woods and Dave Brubeck. In his earlier years, he played in the Ray Charles Orchestra (replacing David 'Fathead' Newman in 1973) and later in the Artie Shaw band. He has been a regular visitor to the North East since 2011, building a genuine partnership of equals with Paul Edis on piano. Gala Theatre, Millennium Pl., Durham DH1 1WA. 1:00pm. £5. On the evening of that very same Friday (July 20), Greg and Paul appear at the Jazz Café along with Andy Champion on bass and Russ Morgan on drums. Promoted by JNE, this will serve as the main course after the lunchtime appetizer. Having heard Greg several times going back to 2011 at the Corner House I've never failed to be impressed by his playing, especially with Paul Edis. The addition of Russ and Andy promises to make this a night to remember. Jazz Café, 25 Pink Lane, Newcastle NE1 5DW. 7:45pm. £10 (£8 concessions).